Many people describe themselves as a "pack rat," that is, someone who enjoys collecting items and doesn't like to throw things away. Although many self-confessed pack rats lead normal lives, acquiring and failing to throw out a large number of items that seem to have little or no value to others, such as old magazines, containers, clothes, books, junk mail, notes or lists could be a sign of a mental illness called compulsive hoarding; a behavior that can be associated with obsessive-compulsive disorder. When does being a pack rat cross the line into hoarding? Pack rats of all types have one thing in common: They love to collect things. However, the kinds of items collected, the meaning the collected items have to the person and the way collecting affects the person's life make all the difference between being an avid collector and being a compulsive hoarder. 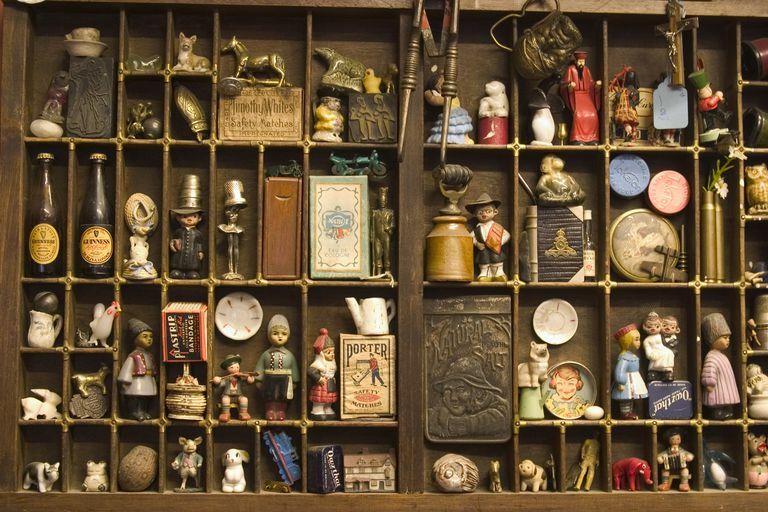 Let's use two examples to explore the difference between collecting and hoarding. Mark is a 51-year-old married business owner who readily describes himself as a pack rat. In particular, Mark loves to restore, collect, and showcase antique furniture. Mark and his wife spend about half their weekends traveling to antique shops in search of rare antique furniture. They love these weekends and treat them as fun getaways from the city. Although Mark loves antique furniture, he is a discerning customer. He will often leave empty-handed if he does not find exactly what he wants and he rarely buys furniture on impulse. That said, with over 25 years devoted to collecting and restoring antiques, Mark has amassed an extremely large collection. Fortunately for Mark, the success of his business has given him the means to build a large addition onto his home that is used strictly for restoring and showcasing his antiques. Very little of Mark's home features antique furniture, much to the relief of his wife. He prefers to display his collection neatly by category in the designated areas of his home. Occasionally, but usually reluctantly, Mark will sell old pieces to make way for new purchases. Above all, Mark finds collecting and restoring furniture a welcome escape from his business, which takes up most of his time. Anne is a 61-year-old divorced retiree who also describes herself as a pack rat. Anne spends almost all of her week and weekends visiting flea markets, garage sales, dollar stores and estate sales looking for what she describes as "treasures." Anne's friends are puzzled by her fascination with these so-called "treasures," as they almost always seem to be items that most would consider garbage. For example, Anne has an extensive collection of old plastic spatulas, plastic containers, newspapers, and broken lamps. In addition, she collects piles of old flyers and newspapers so that the paper will not be wasted. Although Anne's pack rat tendencies began rather modestly in her twenties, after her retirement her collecting went into overdrive. Within three years, she only had a small path between the kitchen, bedroom, and bathroom that was clear of clutter. When her mother died, Anne took all of her mother's belongings and packed them into her basement, which was already crowded. Not surprisingly, Anne's husband soon became fed up and left and many friends stop visiting. When the friends she does have left try to suggest a clean-up of her house, she gets very angry and wonders why people just won't leave her alone. Moreover, she becomes enraged when her son suggests they go through her mother's boxes and throw out things that are not useful. She just cannot imagine parting with any of the items in her home. She is afraid of throwing out something that one day may be useful and has an intense sentimental attachment to many of the items, particularly those items that belonged to her mother. The Analysis: Pack Rat, Hoarder, or Both? Both Mark and Anne describe themselves as "pack rats;" however, it is clear that Mark's love of collecting antique furniture, while certainly considerable, has little to no effect on his day-to-day functioning. Specifically, although his collection is large, he has the means to store this collection efficiently and safely and it does not create clutter in his house. In addition, although he, and to some extent his wife, love collecting furniture, it takes a back seat to running his successful small business. Mark also knows that he must occasionally sell old pieces to make way for new additions to his collection. Finally, his collecting does not strain his relationship with wife. On the other hand, Anne's collecting has left her life in shambles and she is dominated by a compulsive urge to collect largely useless items. It is significant that she is not able to throw out items that most people would consider garbage and has an intense emotional attachment to almost all of the items in her house. Because of this, her house is almost uninhabitable and a danger to her and others. As is common among people who hoard, she has little insight into the nature and severity of her problem. Above all, her hoarding has led to her marriage ending, her friends abandoning her and her son being angry with her. Thus, although they are both self-confessed "pack rats," Anne's symptoms are very much consistent with compulsive hoarding, whereas Mark is someone who is simply very passionate about collecting antique furniture. Anne would be very likely to benefit from consultation with her family doctor or a mental health professional to complete a clinical interview and medical history to make a definitive diagnosis of compulsive hoarding and to explore hoarding treatment options. If you, a family member or someone else you know has a compulsive need to collect items that are considered to have little value by others and it has an impact on day-to-day functioning, it may be time to consider speaking with a mental health professional. The problem may run deeper than simply being a pack rat. Treatment for hoarding is available. American Psychiatric Association. "Diagnostic and Statistical Manual of Mental Disorders, 4th ed., text revision" 2000 Washington, DC. Fugen Neziroglu, PhD, ABBP, ABPP. "Hoarding: The Basics." Anxiety and Depression Association of America (2015).